When I was young, my parents occasionally would give our dog an entire cow leg bone as a treat, baking it in the oven until it was brown and crisp. The dog would look at the bone with vaguely guilty astonishment—it was probably three times bigger than her head—and then carry it gingerly into the backyard, barely able to hold it in her jaws. She seemed to be thinking “thank you so much for this moment of bliss and awe, I’ll just go and chew on this bone all afternoon and then bury it deep in the ground so it will be safe forever and ever.” That’s how I reacted when mentioned within ten miles of Mill in the same blog post. Of course, Taylor’s post also underscores a central goal I had in writing the book. One of my aims in The Rule of the Clan was to intervene in a variety of contemporary philosophical debates about government: a) by clarifying that modern individualism as a set of values and way of life is inconceivable without robust government action; and b) by conceiving of the state and its purposes not in collectivist terms but rather in individualist ones. The first position runs counter to certain anarchistic strains of libertarianism, which I sought to challenge, while the second position contrasts with some writers on the left. But then Taylor’s post naturally suggests a question: in addition to laws protecting individuals against “social tyranny,” what other legal rules and principles make modern individualism possible? One might think of the question as the mirror image of that I asked in The Rule of the Clan, which examined the social and legal preconditions of a certain form of group life. Flip that concern on its head, and one can begin to appreciate that there exist a broad group of legal ideas—in areas ranging from family to commercial law—that form the critical yet typically unrecognized backdrop of the lived experience of individual freedom in liberal democratic societies. What are these fundamental legal doctrines and ideas? How did they develop historically? What communal-oriented legal norms did they replace? How do they work on the ground to advance personal autonomy, while also establishing legal structures for new forms of private group affiliation? How did many of them spread from an original western context across the world, or develop independently within diverse legal systems? If some of their tenets have yet to be adopted globally, what resistance have they encountered and why? And what threats do some autonomy-enhancing legal ideas and rules face to their continued vitality today? These are matters that concerned me even as I wrote The Rule of the Clan, but which I chose not to address. I had planned for them to be the subject of my next book, but as readers of this blog know, I’ve been happily taken away for some time now by other projects. I might turn back to those questions—I’m not sure—but they certainly were on my mind as I read this article by the journalist Paulina Neuding, published yesterday in the Swedish newspaper Svenska Dagbladet. The piece is based on an interview I gave Neuding last year in Stockholm, as well as another interview over the phone a few weeks back. The piece is gated for now, unless you subscribe to the digital edition of the paper [March 28: the article now appears to be available through PressReader]. But, in any case, it’s in Swedish. The interview was partly about the rule of the clan, but it also included a discussion of a certain brand of socially-enforced political opinion that Swedes call the asiktskorridor, or “opinion corridor.” James Traub touched on the issue recently in his excellent article in Foreign Policy, “The Death of the Most Generous Nation on Earth.” My experience of Sweden certainly was consistent with Traub’s description. Under the terms of the opinion corridor, simply to acknowledge the existence of cultural differences between ethnic groups in Sweden is to open oneself to accusations of racism. All differences are said to be differences simply between individuals. And so, to my great surprise, the Swedish translation of The Rule of the Clan is controversial merely for raising issues about cultural difference. Naturally, I believe that acknowledging such differences is the very opposite of racism, and that it’s a manifestation of a profoundly liberal impulse. I also believe that the imposition of social norms against intellectuals acknowledging basic facts of human experience is fundamentally corrosive of an free and open society. That’s a phenomenon hardly limited to Sweden, of course. The drive to ignore facts and engage in wishful thinking for the sake of ideology is a deep, universal part of the human condition. And in the case of Sweden, it’s motivated by the absolute best of intentions. But the level of constraint that the intellectuals I met there felt was really remarkable, particularly regarding the cultural differences about kinship and the state that the country so very much needs to bridge. I also think it’s especially sad in the Swedish case, because the country is known, especially in socio-legal studies, for its fearless, empirical social scientific tradition in the service of social policy. It’s the land of Gunnar and Alva Myrdal, for goodness sake. Since the publication of Neuding’s interview, I’ve had a number of conversations on social media with Swedish readers who have asked questions, sometimes very skeptical ones, about how the cultural differences I describe help explain broad social and political phenomena. To continue the conversation, I’d like to point them toward an article by Valerie M. Hudson, Donna Lee Bowen, and Perpetua Lynne Nielsen published recently in the American Political Science Review, and which engages with my work. Titled “Clan Governance and State Stability: The Relationship between Female Subordination and Political Order,” the article is an quantitative study of the issues I describe in qualitative, narrative terms. The authors do a lot of great things in the article. Most notably, they show that the level of clan governance in any given society goes a long way toward predicting its political instability. And in this regard, it’s especially notable that their Clan Governance Index is far more predicative of political instability than other competing social scientific frameworks, most notably that of Samuel Huntington’s “clash of civilizations”—in which religious differences play an outsized role. Even more important, according to the article, the level of clan governance that they measure is directly linked to female subordination, particularly the freedom of women in marriage. And that, it might be said, leads us straight back to social liberty, government action—and to Mill. Update on April 3, 2016: Anna Dahlberg has published this excellent essay—engaged with both The Rule of the Clan and Paula Neuding’s article—in the Swedish paper Expressen. I also read Neuding’s piece, which is what brought me here. I too have noticed how next to impossible it is to discuss cultural differences. However, I disagree with Neuding’s “åsiktskorridor” as an explanation. I see another cause: In Sweden “cultural differences” has come to be synonymous with “racial differences” or “ethnic differences”. 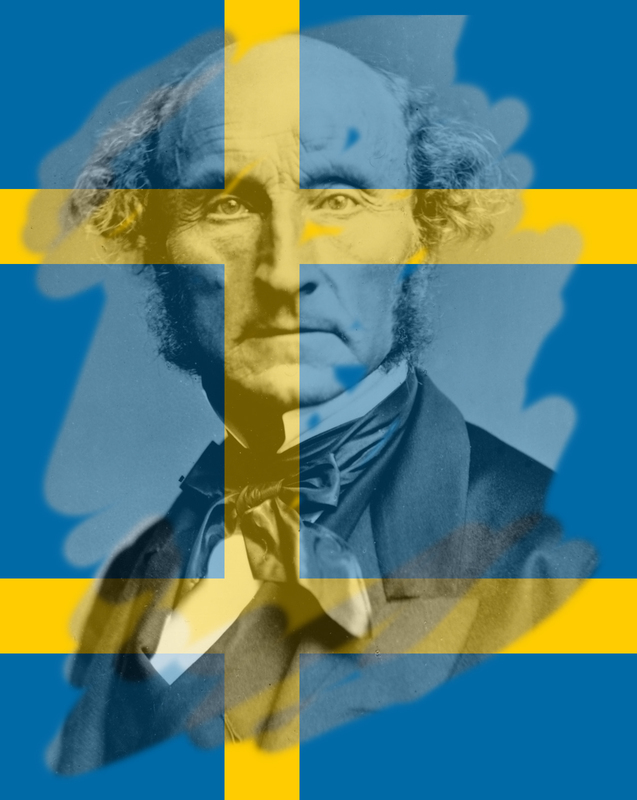 Maybe because the nationalist party Sverigedemokraterna” promotes an essentialistic view of the Nation as the most important cultural entity, a view they’ve been surprisingly successful in spreading. This effectively short circuits any attempt to discuss cultural differences in terms of the difference between cultures of law and cultures of honor, or for that matter cultures of the state or cultures of the clan. If you try, one group will go “that’s right, muslims are culturally inferior to us Europeans, we shold keep them out” while the other goes “shame on you for being a cultural racist”. People just cannot get their minds around the concept of cultures that are not confined to or unique to distinct ethnical or national groups, but rather to individualistic or collectivistic societies. This has really very little to do with the proposed “opinion corridor”. Well, first of all, I have to say I’m not sure “The Opinion Corridor exists” in Sweden. There are strong opinions, and a less than generous discussion climate, but insofar as there is such a thing as “opinion corridors”, I see several of the operating at once, and mirroring each other. One is upheld by a leftist liberal clique who preach extreme political correctness and certainly tend to indiscriminately accuse anyone who tries to discuss cultural differences of being a closet (cultural) racist. In their case, they tend to view “cultural difference as a euphemism for “racial difference” as largely synonymous. Another is upheld by the conservative (new) right who scoff at political correctness, and equally indiscriminately accuse anyone who tries to discuss cultural differences other than in the context of differences between ethnical or national goups, of cultural relativism (understood as a refusal of the idea that some national/ethnical cultures are better than others). They tend to view “cultural differences” as synonymous with “ethnical differences”. As a centrist liberal who subscribe to the idea that there are important cultural differences betwen and within societies, and that differences between rural and urban or collectivistic or individualistic societies are equally or more important than differences between national or ethnic groups, I take flak from both sides. Although, to be honest, I’m slightly more used to being called a leftist cultural relativist by the right than a closet racist by the left. I’d say that both a basic position for both “corridors” is the idea that “cultural difference”, ” ethnical difference” and “racial difference” are largely synonymous. Another position held by both corridors is that “fascism” is at one and the same time a general insult applied to the right, and an ideology that is only characterised by violence and racism. This makes it impossible for us in Sweden to have an honest, serious discussion about fascist ideas in contemporary right wing ideologies. Discussions such as the one in the US about the echoes of fascism in Donald Trump’s rethoric, would be largely impossible here. The few attempts to discuss fascist ideas and rethoric in the political programme of socially conservative nationalist party Sverigedemokraterna (the Sweden Democrats) quickly deteriorate into pie-throwing contests. Sorry about the botched grammar in my comment – the cat (sic!) swiped submit while I was editing. But the inability to hold a straightforward discussion about the fascist echoes in someone like Donald Trump—that’s another surprise to me. Whether or not Donald Trump should be called a fascist is a really important political question. I would say that he shouldn’t—right-wing, anti-liberal populist demagogue seems more accurate, though it doesn’t flow so easily off the tongue—but people of good will can disagree about the question and should discuss it openly (and, of course, they have been). And _not_ being able to do so really hampers a society. After all, pie throwing contests only result in everyone getting frosting on their face. I don’t want to presume to know anything more than the little I do about Sweden, but from what you write, and from what I’ve heard from quite a number of other Swedes with whom I’m in correspondence, and what I experienced in my wonderful few days in Stockholm, in which I met with many people, the culture of free speech seems to be in a not fully healthy state in general. Would you say that this is true? And if so, when did it develop? And how? I don’t want to hold up public discourse in the United States as a model of deliberative democracy or contemplative policy debate—that’s meant to be a profound understatement—and of course we have our own problems with regard to political speech from various quarters (most important, financial influence in politics), but these seem to be very different challenges than those I’ve heard described about Sweden. As a centrist liberal, do you see liberal values of free speech as under pressure in your country from left and right generally, beyond the issue of cultural difference?